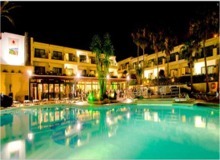 THB Flora in Puerto del Carmen was renovated in 2011 is located 600 m from the sandy and pebble stone beach. 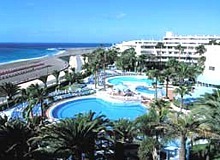 The closest city to the hotel is Arrecife (12 km). A wide variety of facilities, activities and entertainment are available for guests of all ages to enjoy including swimming pools, playgrounds for children, discos and much more. 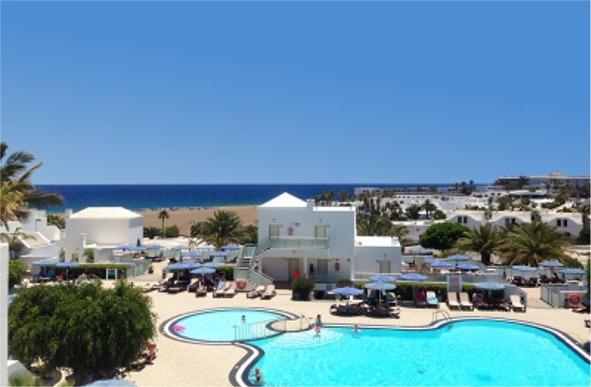 Located in Puerto del Carmen and just 200m from Los Pocillos Beach, the Sentido Lanzarote Aequora Suites Hotel is a newly built resort that stands out for its modern interior design and for the quality and variety of its services. Occupying a prime location by the sea and just a few steps from the inviting Playa Pacillos beach, the complex is set amidst 55,000 mÂ² of palm tree lined gardens, offering an idyllic location for a relaxing getaway in Puerto del Carmen. Recently refurbished with a sweet water swimming pool (heated in winter) and beautiful views of the sea, this hotel is ideally located near Playa de los Pocillos beach less than 2 km from the lively resort of Puerto del Carmen. Located right next to the Playa De Los Pocillos beach and only 8 km from the airport. Riu Paraiso offers a perfect family getaway: The hotel has four swimming pools, three bars and four all inclusive themed restaurants. Completely refurbished and renovated in 2009, this spacious, modern complex offers good quality, comfortable accommodation with a warm and friendly atmosphere in an excellent location. 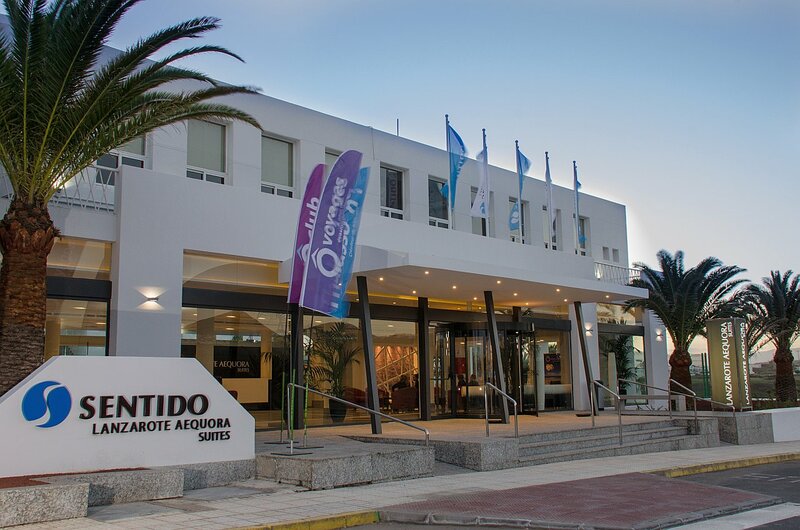 This aparthotel is located in Matagorda opposite the beach front, making easy access out onto the 8km long flat paseo. The beaches in this area are accessible with wooden cladded walkways. Good accommodation with plenty of entertaiment and activities. This 4-star aparthotel is right next to the longest promenade in Europe, just 5 minutes from the beach, and is near a shopping centre featuring a range of bars, restaurants, and souvenir shops. Certified as a Biosphere Aparthotel and awarded by TripAdvisor Ecoleaders Programme with a platinum medal for sustainablity. Located only a few metres from the Playa de los Pocillos and a few kilometres from the airport. Perfect for the family it boasts well-maintained facilities such as a salt water swimming pool (heated) childrens entertainment and well cared for gardens. This traditional-style apartment complex is situated close to the main beach road, and offers comfortable rooms and friendly service. It's in an ideal location close to all resort amenities.